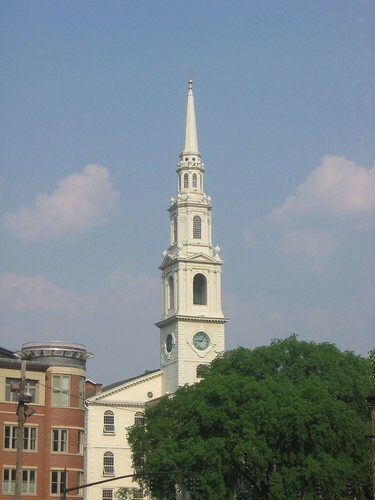 This congregation was founded by Roger Williams After being booted out of Massachusetts, he established Rhode Island as the first place in America with true religious tolerance. Quakers, Jews, even (gasp) that radical antinomian feminist Ann Hutchinson showed up soon after. Roger Williams respected Native Americans, learned the Narragansett language. Didn’t try to cheat them or oppress them. Thus Rhode Island was spared the revenge wreaked elsewhere during King Phillip’s War..